A Chinese envoy on Tuesday urged the international community to push the Yemeni parties to sustain effective political dialogue. "We should push the Yemeni parties to sustain effective political dialogue and negotiation," Ma Zhaoxu, China's permanent representative to the United Nations, said at a Security Council meeting on the situation in Yemen. "We need to insist on the role of the United Nations as the main channel," he said. "Under the leadership of the Redeployment Coordination Committee, political will is to be turned into real action," the Chinese ambassador said. "We hope to see an early launch of the next round of peace talks under the leadership of special envoy (Martin) Griffiths, so as to reach a settlement that balances and takes into account of the interests of all parties and help resume peace, stability, and normal order in Yemen," he said. Noting that the international community "is paying close attention to" the issue of Yemen and is having a lot of expectations for the resumption of peace and stability in Yemen, Ma said that the Stockholm Agreement "has brought about hope of peace for the Yemeni people." "The Security Council should have a timely understanding of the implementation of the agreement by all parties and the challenges they are facing, and continue to play a positive role on the issue of Yemen," the Chinese envoy added. Ma told the Security Council that all Yemeni parties "are abiding by the ceasefire agreement in general," adding that the Redeployment Coordination Committee under the auspices of the United Nations and with the participation of all Yemeni parties, is conducting its work "in an orderly fashion and has arrived at a consensus" on the first phase arrangement on Feb. 17. 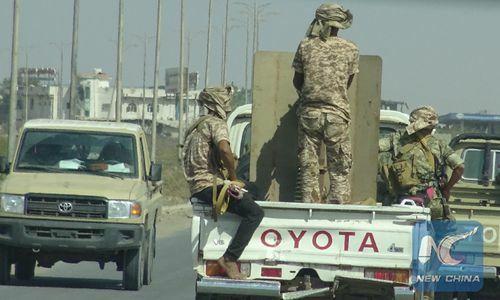 "Fighting is going on in Hodeidah and its surrounding areas. The two parties still have differences on the list of prisoners and the issue of task," he said. "The humanitarian situation in Yemen is dire," Ma noted. "The Yemeni parties should effectively implement the agreement, address their differences through dialogue, and increase their consensus," he said. UN Special Envoy to Yemen Martin Griffiths told the Security Council via video link from Amman that Yemen's government and Houthi rebels had agreed to pull back from the rebel-held ports of Saleef and Ras Issa followed by a redeployment from Hodeidah port, also held by the Houthis, and critical parts of the city.